Half Duplex Located In The Highly Sought After And Extremely Well Maintained “Vineyards” Of Mount Dora. There Is A One Block Walkway To The Community Owned Lakefront Lot On Lake Dora. Association Maintenance Includes: Lawn Mowing, Trimming, Edging, Irrigation, Mulching And Exterior Pest Control. 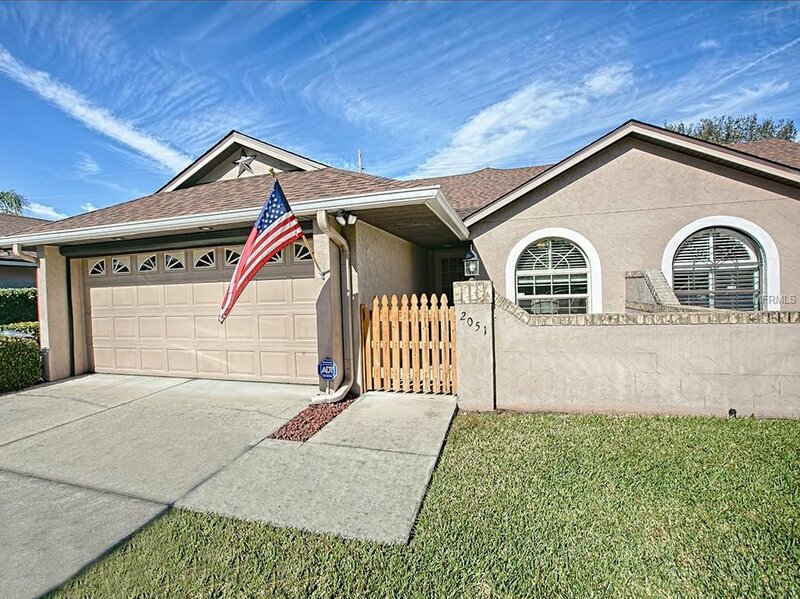 Enjoy Florida Living Close To Downtown Mount Dora’s Shopping And Restaurants. Lounge By Your Salt Water Swimming Pool, Or Relax In The Shade Of Your Large Lanai. The Master Bedroom Has A Large Walk-In Closet And The Master Bathroom Has Dual Sinks And A Walk In Shower. The Ceramic Tile Floored Kitchen Has A Dinette And A Breakfast Counter. The Oversize Two Car Garage Is Equipped With A Power Screen And Has A Workbench. Listing courtesy of ERA GRIZZARD REAL ESTATE. Selling Office: CENTURY 21 ALTON CLARK.